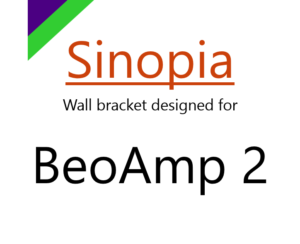 Part of the Sinopia family of wall brackets, this one is designed to hold the BeoAmp 2. It’s slimline profile means that it can easily be hidden behind your TV. It fits in the gap behind the monitor of Eclipse with ease. The minimal use of metal also allows great airflow around the vents of the BeoAmp 2.